2017 is considered as the base year for company profiles. Where information was not available for the base year, the previous year was considered. Various secondary sources, such as Factiva, Hoovers, and Manta have been used to gain insights into the fiberglass roving market. The experts from leading companies manufacturing fiberglass roving have been interviewed to verify and collect critical information and assess the trends in the fiberglass roving market during the forecast period. The top-down, bottom-up, and data triangulation approaches have been implemented to calculate the exact values of the overall parent and each market sizes. The fiberglass roving market has a diversified and established ecosystem comprising upstream players, such as raw material suppliers, and downstream stakeholders, including manufacturers, vendors, and end users of fiberglass roving, as well as various government organizations. Leading players operating in the fiberglass roving market include Owens Corning (US), Jushi Group Co., Ltd. (China), Chongqing Polycomp International Corporation (China), Johns Manville Corporation (US), and among other companies. This research report categorizes the fiberglass roving market based on product type, end-use industry, glass fiber type, and region. It forecasts revenue growth and analyzes trends in each of these submarkets. The global fiberglass roving market is projected to grow from USD 8.24 billion in 2018 to USD 11.02 billion by 2023, at a CAGR of 6.0% during the forecast period. The fiberglass roving market is growing due to the high demand from the wind energy, electrical & electronics, pipes & tanks, construction & infrastructure, and transportation industries. Fiberglass roving products are preferred as they can reduce the weight of the product and are stronger than metallic parts. The fiberglass roving market witnessed strong growth in the past few years due to the growing use in the US, Germany, China, Brazil, and Japan. The fiberglass roving market is segmented on the basis of glass fiber type into E-glass, ECR-glass, H-glass, AR-glass, S-glass, and others. The S-glass fiber segment is the fastest-growing glass fiber type. The E-glass fiber segment accounted for a major share in the global fiberglass roving market, in terms of value, in 2017. Fiberglass roving made with E-glass are cost-efficient and offer a wide range of properties such as corrosion resistance, lightweight, high electrical insulation, and moderate strength. The growing demand from the electrical & electronics and transportation industries is expected to drive the market during the forecast period. The fiberglass roving market is segmented on the basis of product type into single-end roving, multi-end roving, and chopped roving. The single-end roving product type dominates the fiberglass roving market, in terms of volume, in 2018. 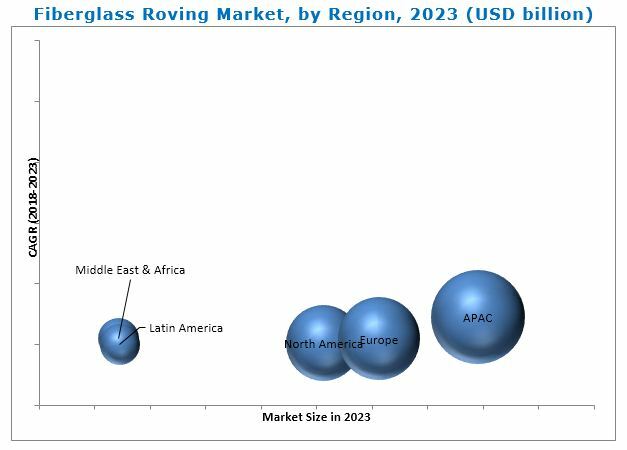 The increasing demand from the filament winding and pultrusion applications is expected to drive the single-end fiberglass roving market during the forecast period. The fiberglass roving market is segmented on the basis of end-use industry into wind energy, transportation, pipes & tanks, marine, construction & infrastructure, electrical & electronics, aerospace & defense, and others. 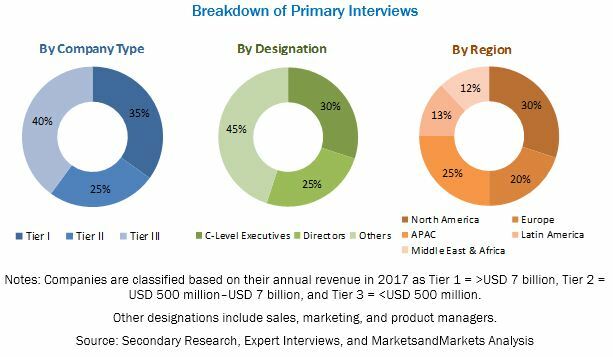 The transportation end-use industry segment accounted for the largest share of the fiberglass roving market, in terms of value and volume, in 2018. The high demand for fiberglass roving in the transportation industry is attributed to its lightweight and increased fuel efficiency. Currently, APAC is the largest consumer of fiberglass roving. China, Japan, and India are the major fiberglass roving markets in APAC due to the growing wind energy, construction & infrastructure, pipes & tanks, and electrical & electronics industries. The fiberglass roving market in APAC is also projected to register the highest CAGR during the forecast period. The growing demand for environmentally-friendly products as well as stringent emission control policies has made APAC the largest fiberglass roving market. The global fiberglass roving market is expected to witness significant growth during the forecast period, in terms of value and volume. However, the high cost of technology and high investment costs are restraining the growth of the global fiberglass roving market. Companies such as Owens Corning (US), Jushi Group (China), Chongqing Polycomp International Corp. (China), and Taishan Fiberglass (China) are some of the leading players in the global fiberglass roving market. Owens Corning has sustained the leading position in the market by tapping various lucrative markets globally. The company has made strategic alliances with local distribution centers in emerging markets to increase its share and customer base. As a part of its growth strategies, the company has mainly focused on investments & expansions and new product launches. 12.2 Jushi Group Co., Ltd.
12.6 Nippon Electric Glass Co. Ltd.
12.9 China Beihai Fiberglass Co., Ltd.
12.10 Taiwan Glass Industry Corp.
12.11.3 Nitto Boseki Co., Ltd.
12.11.4 Jiangsu Jiuding New Material Co., Ltd.
12.11.9 China National Building Material Company Ltd.